If the Internet had the equivalent of smellivision, this would be everyone's homepage. While Chicklet's a sucker for paper, I am a sucker for a really nice smelling soap. I have, in some ways, searched the world. Lavender -- besides the flower's color (purple) and the name (starts with 'L'), there's the intoxicating smell. 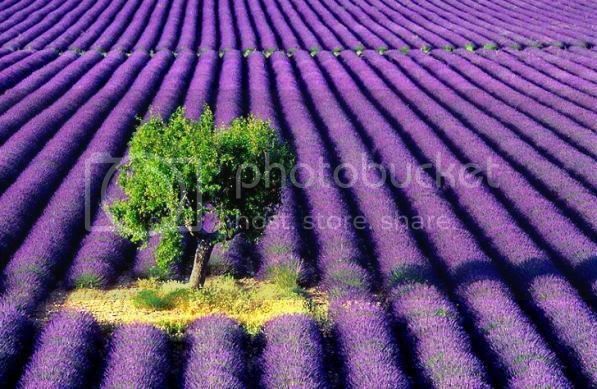 I think heaven must be rich in lavender. Lavender Spice -- imagine the yin of lavender tempered by the yang of clove and cinnamon. I wish I could turn this scent into a pie. Rosemary -- one of my favorite scents in my garden. I keep meaning to learn to make my own herbal soap from it. But for now, it's just too easy to click. Check out Karin's other seven flavors to see which ones send YOU into orbit. Seriously, click over and choose two, because that's what you'll get -- FREE -- if you win this giveaway. Write a post on your blog* about All Thumbs Reviews. It can be about something we've reviewed, why you visit us, how you found us, what you've done with our advice, etc. Make sure you link here. Then come back to this post and leave your post's permalink in a comment. Please do so by 10:10 am on Friday, October 10. Entry means you agree to these rules. We'll use a random.org to choose the winner. Come back the weekend of October 11 & 12 to find out if it's you or some other karma-rich person who wins this little luxury. We will attempt to notify the winner by email (if we can easily find it). Pacific Coast Soap Works will ship directly to anyone in North America. If you do NOT live in North America and you are the winner, you can give your Twin Pack to someone who DOES live in North America. And that person will be eternally grateful (and will smell good). * Don't have a blog? Why not ask a bloggy friend to allow you to guest post? UPDATED: I asked random.org to pick a number between 2 and 7 (Chicklet's will never forgive me for writing the rules the way I did). The one that popped up was 3. Cathy, come on down! Yum, that lavender spice sounds heavenly! Would love to smell these in my mailbox! I just went to their website and WOWOWOWOWOW!!!! i found several things I will have to order very soon. I would love to try these soaps. One day i'll learn to make them. Ok maybe I should pull out of the salsa contest. NAHHH I can't afford food and insurance copays/deductables. Now I don't have to add soap the grocery list. LOL. I really like Random.org.